When a dental emergency occurs, your first reaction may be to panic. However, after contacting a Lynchburg, VA emergency dentist, you will soon realize there is no need for panic or fear. Emergency dentists are highly skilled dental providers that are trained to treat a vast array of dental emergencies. 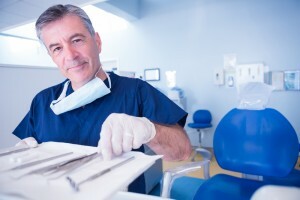 Whether you are experiencing excruciating dental pain, in need of an emergency root canal, or have experienced a trauma resulting in a knocked out tooth, chipped, cracked or broken tooth, an emergency dentist will be there to treat and correct your problem while making you feel comfortable and at ease. You may think that finding a 24 hour dentist in Lynchburg, VA is difficult. In reality, it is not. The first place to start searching for a 24 hour dentist is your regular dental office. Many dental offices now offer 24 hour emergency dental service and emergency hotlines to call after hours. If your regular dentist does not offer this service, there is bound to be at least one in your area that does. While the 24 hour dentist may not be physically in the office 24/7, they are ready and waiting for your call. After speaking to a 24 hour dentist, you will receive instructions on steps that can be taken to attempt to save your tooth as well as alleviate your pain until you can make it in to the 24 hour dentist’s office. The trained professional will determine if you need to be seen right away or if your emergency can wait until normal office hours. Description Call our Lynchburg referral service Emergency Dentists USA phone number and get connected to an emergency dentist in Lynchburg, VA in seconds! We provide a service that will get you to the dentist that fastest and easiest way possible, you can call us 24 hours a day, 7 days a week and its 100% free! Riley Dental Associates of Central Virginia is a unique dental practice that provides friendly service with a smile. They have created a sense of tranquility in their office that you can not find in any other dental office. The exceptionally skilled dentists provide a wide range of dental services for all ages. Whether you are need of preventive or general dentistry, cosmetic or restorative, this is the dental office to go to if you are looking for a dentist to treat your entire family for many years to come. For more than forty years, Lynchburg Dental Center has been providing residents with the best family dental care around. The staff holds the highest of standards, utilizing the most up to date, state of the art equipment and techniques performed by experienced, highly skilled dental providers. Whether you just need education on proper dental hygiene, cosmetic dental procedures such as tooth whitening, dental-rays, root canals, or a family dentist, this is the dental office for you. Mountain View Oral Surgery & Implant Center offers the best oral and maxillofacial surgeon in the area. With many years of education and training, as well as hands on experience, Dr. Magid has earned the loyalty and trust of many. From bone grafting to TMJ, wisdom teeth removal to nerve repositioning, this dental provider can do it all. It is crucial to be ready and prepared when a dental emergency occurs. First, you want to call the emergency dental provider to confirm they are open, make an appointment if necessary, and to ensure they take your insurance as well as are an approved emergency dental care provider with your insurance to save you money. You will also want to ask for an estimate as far as pricing, what types of payment they will accept and if they offer any types of discounts, payment plans or financial aid. You will need to bring to the appointment with you a photo identification, your insurance card or information, and payment for the services you are about to receive. If possible, you should also bring a driver with you. Some procedures, such as emergency tooth extraction, may require a dental anesthetic and you will be unable to drive after your appointment with the emergency dental provider. It is important to choose an urgent care dentist in Lynchburg, VA that will suit your needs, both physically and emotionally. When choosing a walk in dentist, you can check their website or call their office to ensure they offer the type of service you need. You also to ensure their regular office hours will fit into your schedule as well. When validating whether an urgent care dentist’s credentials, you can utilize your local dental society website for Lynchburg to perform background checks. If you have time, depending on the emergency, you can also read reviews online, speak to patients of the dentist, visit the office, and consult with your family and friends to hear their recommendations. If you have a fear of dentists, for example, you want to find a walk in dentist that offers a friendly, relaxing atmosphere. However, if you prefer a more professional dentist, you may prefer a dentist that is straight and to the point without all the extras.